There are hard facts, nuggets of data, and then there are the softer but equally true facts that connect them and make sense of them. Hard fact: Temple Beth El of Northern Valley in Closter has sold its building; it’s leased it back for two years. Hard fact: Temple Beth Or of Washington Township has put its building up for sale. 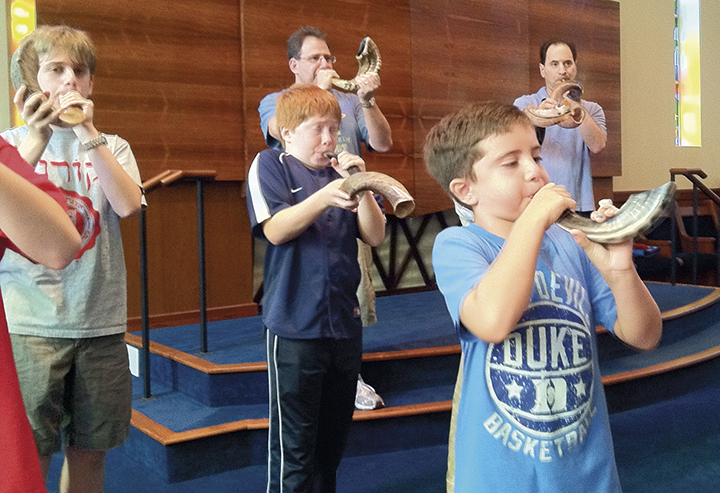 Hard fact: Temple Beth El and Temple Beth Or — both Reform congregations — are on track to sign a merger agreement; they’ve been talking extensively, and have begun to host evenings where members of the two communities can meet each other. Hard fact: Neither of the two synagogues has been losing members recently, although that was not always true; now both are fairly small but stable. Beth El has about 230 families, and Beth Or has about 300. Softer fact: This merger is not being done to ward off imminent collapse; it’s not united we stand, divided we fall. It is instead a proactive move, designed to create a new sort of Judaism for a new generation, and the generations after them. It is a realization that what once worked no longer does; it is also a realization that as different as millennials are from their parents and grandparents, still they have a spiritual yearning that shuls can meet. The story of how these two synagogues, six miles apart in distance, remarkably close in style and approach, came together, is instructive. Recently, two of their three presidents — David Fischer, who is co-president, with Steve Verp, of Beth El, and Lee Anne Luing, president of Beth Or, discussed their separate processes, and how they joined forces. “About three or four years ago, we read the Pew Report” — the 2013 study that predicted declines in liberal Jews’ attachment to conventional synagogues, and their increasing readiness to label themselves not as belonging to any denomination but instead as being “just Jewish,” Mr. Fischer said. He and Beth El’s other leaders saw that the report’s grim predictions of falling membership and decreasing loyalty to existing institutions eventually might be true for their institution. “So we decided to control our own destiny,” Mr. Fischer said. Instead of waiting to fail, the leaders decided that they would create a path toward growth, and that it necessarily would involve change. The next obvious question was what that change would entail; even before that, the question that intruded itself was how to decide what the change should be. 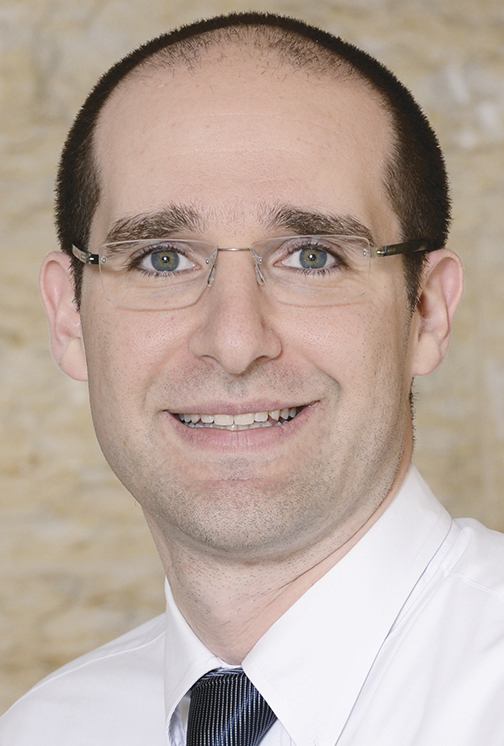 Beth El hired a consultant, Rabbi David Wolfman, who specializes in mediating synagogue transitions and was the director of the Union for Reform Judaism’s commission on rabbi-congregational relations for 15 years, to help guide the process. 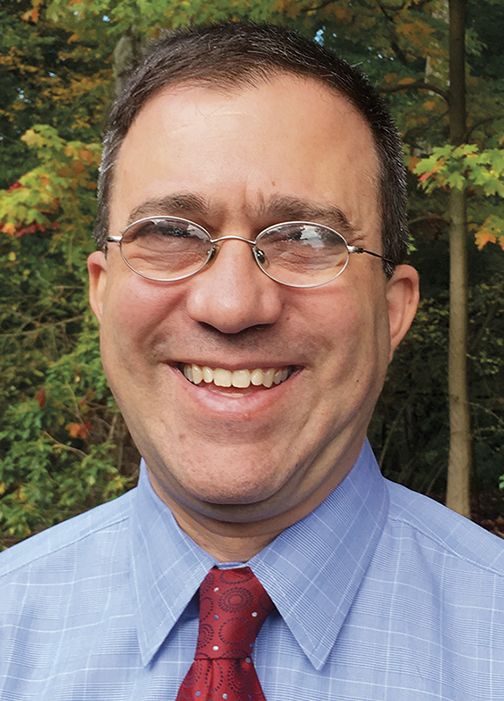 Rabbi Wolfman lives in Lexington, Mass., now, but he grew up in Englewood Cliffs; he was a member of Temple Sinai in Englewood, his father was a realtor with an office on Cedar Lane in Teaneck, and he was active in the youth group at the JCC when it still was in Englewood. His local roots are deep; that isn’t at all necessary to his work but added some poignancy to it. 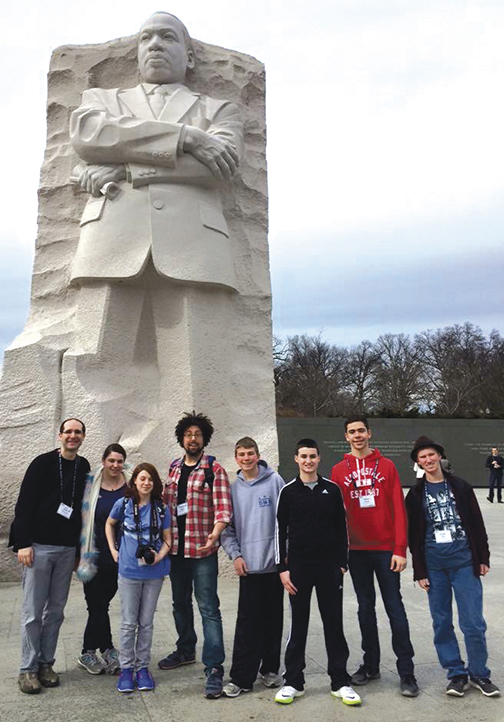 “First we did a leadership seminar, where I brought the group up to speed,” Rabbi Wolfman said. “I wanted them to know that this” — the need to reimagine and reconfigure — “is happening in the Jewish community all over the country. That need is not a failure on their part. “I also do a DNA intake when I first get there. I recognize that every congregation is different, so I do a series of interviews to learn the unique DNA of every congregation. “After that, I trained a group of Beth El leaders to do listening sessions that span the entire congregation. Of course that included legacy members — people who have been there for two or three generations, people who are in their 70s or 80s, people whose parents were there, people we call pillar members, who have been there for 40 or more years. People like Sarah, who sits in the same seat every Friday night, and has sat there for decades. “We asked them to say it in three sentences or less. It’s all pie in the sky, what they wish could be possible. 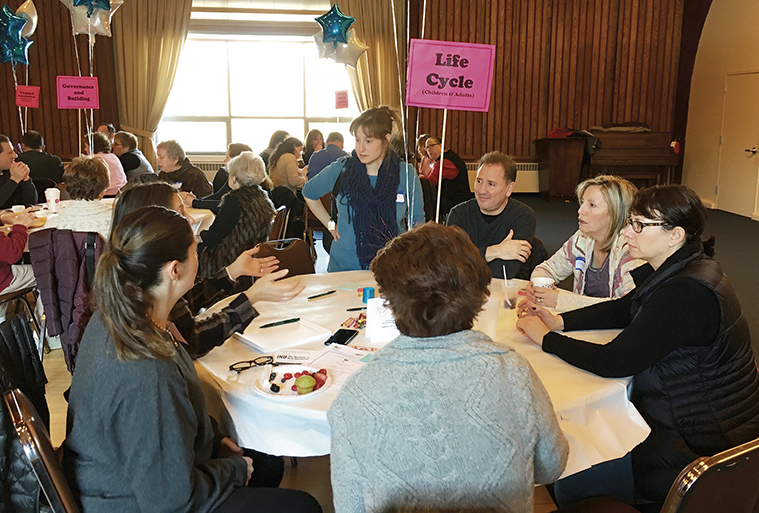 Beth El members spent a full day discussing their values, needs, insights, and priorities. On each table there was an actual, physical bucket, with one of the eight labels on a flag streaming from it. (There were more than eight tables so there were duplicates of some of the more popular buckets.) The tables also held the iWishes, printed in fortune-cookie format. “It whetted their appetites and tickled their thought processes,” Rabbi Wolfman said. A facilitator and a transcriber sat at each table — they were all synagogue members, carefully trained in those tasks, which are not as simple as they might seem. “The scribes have to write down what people say, not what they want to hear,” Rabbi Wolfman said. After 45 minutes, people changed tables. At the end, each group reported back. Ms. Lehmann surprised everyone. “It is impossible for us to continue as we are,” she told the meeting, she recalled later. “I see a future for us, but I know that we have to go a different way. There was more logistical work to be done, but after that meeting the course was clear. The building would be sold. 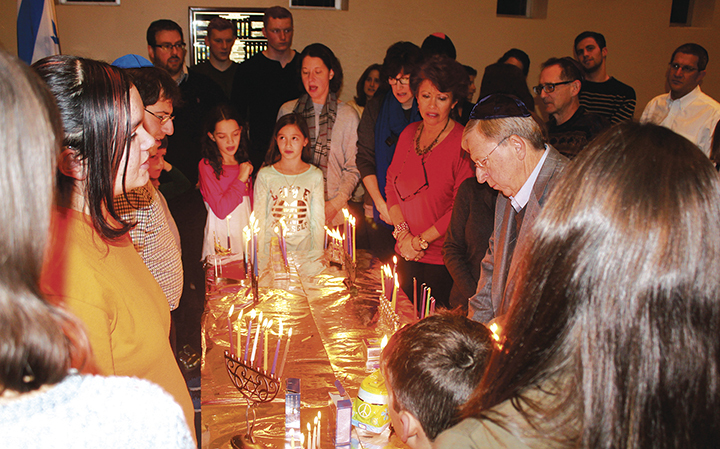 “We know that the world is changing,” Rabbi David Widzer of Beth El said. “There are demographic changes afoot in this part of New Jersey. I am not a demographer, but I know that the number of younger families making Jewish lives in our area is not what it once was. To be clear, Rabbi Widzer is talking about the liberal Jewish world, the world he lives in. “There was a time when if you wanted to be part of the Jewish community, you joined a congregation,” he continued. “Those days are long gone. They don’t map one to one anymore. This is an important time, Rabbi Widzer said. “It became clear to me, to the board, to the leadership, to the congregation, that standing still was not going to get us anywhere. We couldn’t continue to do things the way things always had been done, because that model of Jewish life isn’t reaching people the same way that it did. 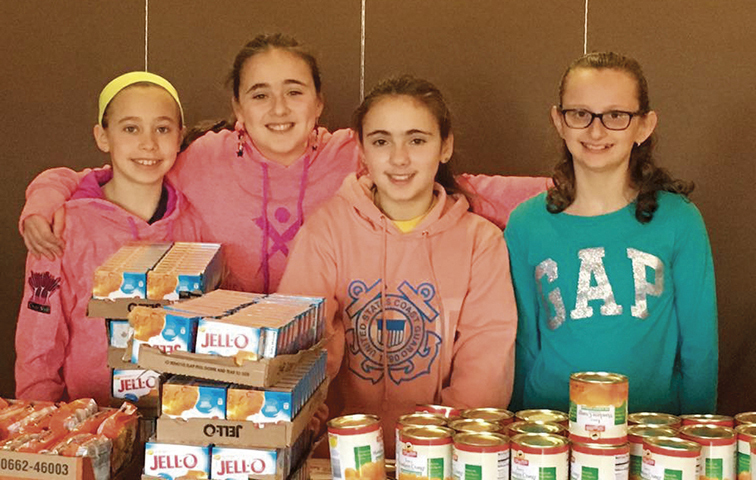 Kids at Temple Beth Or preparing food donations. So the congregation knew that it wanted to do something, to change things, to move forward into a new, still unclear future — but they still weren’t sure what to do first. “We pursued all eight planks” — Rabbi Widzer’s term for the buckets — “simultaneously. One was the sale of the building. Another was the notion of collaboration, partnership, or merger. We were pursuing all of this at the same time. As it turned out, the next kernel to pop came from the general direction of Washington Township. Temple Beth Or started thinking about moving or merging a little later than Beth El had, but its leaders, like Beth El’s, knew that to stay as it was eventually would lead to its withering. So Beth Or and Beth El found each other. They are close to each other geographically and culturally; their catchment areas can join as easily as their members can. Working without a consultant but with Beth El’s model, Beth Or also held focus groups and larger meetings. They also realized that merging was the best option if they were to move forward gracefully. Both Ms. Luing and Mr. Fischer stressed that the reason that both communities are selling their buildings is because this is an equal merger. One congregation will not be subsumed by the other. Instead, the two will come together to create a third congregation, a new one, with a new, yet-to-be determined name, a new mission, and a solid grounding in the other two. They are looking for any kind of space that might work, Ms. Luing said. “We can have flexible space. We are looking at office buildings, at rundown churches, at vacant land. Beth El has a flourishing nursery school. Beth Or has a flourishing religious school. Both will continue to be nurtured, and to flourish; in fact, it is logical that they grow together. That’s Rabbi Noah Fabricant. “I am trying to encourage people not to think of this as merely combining the pieces of our two temples,” Rabbi Fabricant said. “Let’s focus on something new. “I think a lot about the founding generation of our synagogue. It was founded in 1959. I think that we are going to be the founders of this new synagogue, of the new Jewish community. “It is very difficult — it may be impossible — to make major changes in a synagogue that has been around for 60 years. This creates an opportunity to do things differently, to think about our reason for being, and to think about the Jewish needs that a synagogue can serve today. “I am also thinking a lot about the relationship between a family and a synagogue,” he continued. “I think that the metaphor we always use is a gym. You pay to be a member because you want a specific service. If you don’t want that service, you don’t pay for the gym anymore. “A lot of people conceptualize their synagogue membership as certain discrete services that they want — their high holiday tickets, their kids’ education,” he said. When they no longer want those things — or when they feel that they are paying for so many services they don’t want that the whole thing just is not worth it — they drop the membership. There is perhaps some irony in this, but perhaps it just reflects change. Ms. Lehmann said that she loves Beth El because “basically our entire life revolves around the temple.” Her oldest child, Andrew, died of leukemia in 1966, when he was 7 years old; since then she, her husband, and their three other children always have been at home at Beth El. All those years ago, the synagogue was an anchor, and it continues to be; now, in order for it to provide the same stability, it must change. The new synagogue that Rabbi Fabricant envisions will be more personalized, less institutional, smaller scale. “And also more inclusive,” he said. “Our ability to make all families welcome, and to be meaningful and accessible to all of them, is essential. “We must meet people where they are. We must provide them with as much meaning as we can, even if it is not the model we prefer. “My job is to get Judaism to the people. It is not to sit in my office and wait for them to come to Judaism. I extend that metaphor to the synagogue as a whole. We must bring Judaism to the people. Both rabbis seem entirely sanguine about their own jobs. Both are beloved by their communities, according to Ms. Luing and Mr. Fischer, and both have contracts. After that, the future isn’t clear — but to be realistic, when is the future ever clear? There might be room for both. Both have sterling reputations. Both are looking forward with optimism and in partnership. 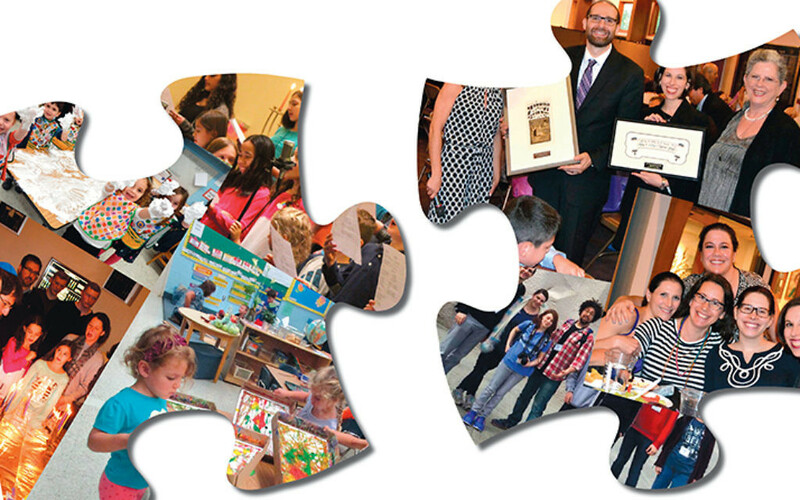 The theory behind the changes that are leading to the merger of Beth El and Beth Or is that Judaism always has adapted to new conditions, and right now it is doing that again, Rabbi Wolfman said. We are on the cusp of change; we are now in a liminal time, not quite out of the old period, not quite into the new one. Nothing is quite clear, even if everything is infused with hope. He goes back to the beginning of Jewish history to explain. “Judaism 1.0 is the Judaism of the Bible, through the age of the prophets,” Rabbi Wolfman said. “Something happened in that society to cause a change. Solomon built a temple in Jerusalem, and there were no more prophets. 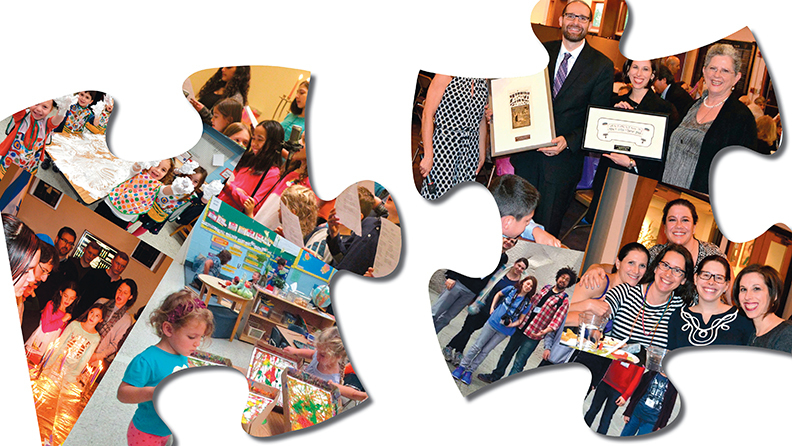 Temple Beth Or, like Temple Beth El, takes social action seriously. “Next, Judaism 2.0 was the sacrificial cult and centralized worship. Then something happened again in world politics, and the temple was destroyed.” Judaism 3.0 was the rabbinic period, and 4.0 was “when Jews were dispersed, most of us to Eastern Europe, and it was Judaism through community. We had Minsk, we had Pinsk, and we had Anatevka. Wherever we went, we built a mikvah, and then we built a beit midrash. And when the town grew — when it was too far for the wives to walk to the mikvah — we built another one. And then another beit midrash. And that’s why we have Minsk and Pinsk and Anatevka. “We didn’t have centralized worship, so we invented the rebbe, the cheder, Yiddish, art, and music. It was a rich culture. And then the rabbi wasn’t a paid professional. He was the baker or the candlestick maker or the poet. “And then the Shoah caused all that to end. Our community was burnt to smithereens and we were exiled again. Those of us who survived mainly went to North America, and invented Judaism 5.0. That’s where we are now. “Now we have Judaism through organization. What makes me a Reform Jew is a membership card. I can become a Conservative Jew in an hour — no, I probably can go online and do it in 10 minutes. That Judaism was created by the baby boomers. “We were very loyal,” Rabbi Wolfman, who is in that generation, said. “Look at our American Express cards. It says ‘Member since…’ But it’s not a club! It’s a credit card! “Our generation would join a synagogue even if it wasn’t awesome or perfect for us, and we will never go. We will join a gym and never use it. We join out of responsibility, out of obligation, because it is local. Millennials are not like that, Rabbi Wolfman said. “They are not loyal. They demand excellence. And they want it on demand, and they can get it. This is not a judgment, this is just what we are seeing across the country. So, Rabbi Wolfman concluded, this is a time of great opportunity. “We are seeing a downward trend in membership not because religion isn’t important in America,” he said. “It’s because membership patterns are changing and how we fund our congregations is changing. There are a lot of mergers going on all over the country, especially on Long Island and in northern Jersey. That’s because that’s where the Jews are, and they are trying to reinvent themselves. Yes, he agreed, reaching that balance would be a neat trick. But it’s far from impossible. In fact, he said, we will emerge from this cusp to the dawn of a new Judaism. Judaism 6.0.